If you enjoy reading, and like to use the Internet for finding great new reads, you may well have heard of Goodreads before: This is a superb website hosting a vibrant community of book lovers, teeming with book recommendations and reviews. In other words, an ideal place to find new reads. We’ve briefly covered Goodreads in a Directory post Track the Books You Have (and Want To) Read with Goodreads Track the Books You Have (and Want To) Read with Goodreads Read More back in 2010, and last year I reviewed the Goodreads Android app Find Your Next Book To Read With Goodreads [Android] Find Your Next Book To Read With Goodreads [Android] Read More . 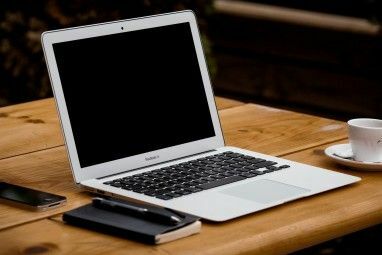 We’ve also included the site in a roundup up 7+ Sites To Help You Decide Which Book To Read Next The 11 Best Sites for Finding What Books to Read Next The 11 Best Sites for Finding What Books to Read Next Want your next read to be a good one? These are the book recommendation websites you should look up for books to read next. 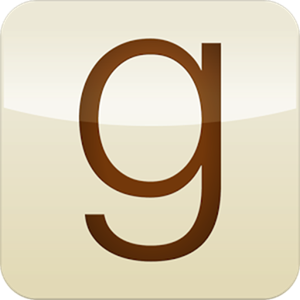 Read More , but we’ve never taken a good long look at the Goodreads core – the site itself. Up until today, that is. 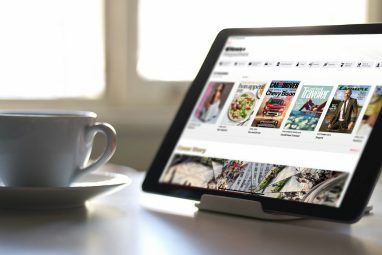 The Goodreads experience starts with a thorough “onboarding” – in other words, an initiation process new users go through, where they’re asked to rank many books to help tune the site’s recommendation engine to their individual tastes. But once you’re done with that initial process, it’s up to you to make the most of the site without having a wizard to guide you through. Let me show you around. One thing you should know about Goodreads ratings is that the community tends to be a bit stingy: 3.5 stars for a book is really quite good. A 4-star average with plenty of ratings (over 54,000, for Cloud Atlas in the example above) mean that it’s probably an outstanding read. From this screen you can click the “Want to Read” button to add the book to your reading list. This is how I usually use the site: I avoid going into the individual book page, because I feel that the synopsis and reviews can detract from the expectation and the fun of reading. This is a far more nuanced way of looking at a book. Most people seem to think Cloud Atlas is a Sci-Fi book, but many also see it as a piece of Historical Fiction, which instantly tells me the book isn’t entirely about some far-off future on a distant planet. This info panel, while rich, is far from complete: It would have been better if it contained the book’s genres. Still, you can easily use the panel to add the book to your reading list, or rate it if you’ve already read it. Of course, you can also click through to the complete book page. This is a very Netflix-like view; Goodreads parses each of the genres you like and offers up recommendations. For each recommendation, you can add it to your reading list (“want to read”), rate it, or tell Goodreads you’re just not interested. This is one of the site’s most touted features, and I’ve used it to find some excellent books, but it does have its drawbacks: Mainly, that the interface makes it very, very easy to add oodles of books to your reading list, ending up with an enormous list that’s just overwhelming. Each book has a “hard” (arbitrary) position on the list, which you can edit manually to set your own sequence. You can also sort the list by any header – just click Avg rating to see your future reads sorted by their perceived quality. The list is a central part of Goodreads because if you use it to track your future reads, it will help you ensure you review each book, and thus give back to the community and tune your own future recommendations. I like this approach better than reviewing on Amazon, because it’s not predicated on you buying anything from Goodreads: In other words, it works just fine even if you borrow some of your books from friends or the public library, buy others in the local shop, and buy others still on Amazon or at another online store. Your reading list unifies all of your books. You don’t have to write a review, although personally I find it helps me later remember what the book is about, and organize my thoughts about it. You can also just assign the book a quick star-rating. The review isn’t just a blob of text: You can also place the book on a virtual shelf if you want (you can do this before reading it, too). Shelves are the categories you make up on your own – they can correspond to genres, places where you bought the book (“from the local store”), or any other classification that makes sense to you. Finally, Goodreads lets you specify the date in which you’ve completed the book (handy for stats, as you’ll see later), hide the review if it contains spoilers, and of course, tweet out the review. Personally, I have just a tiny handful of friends on the service (three, to be exact), so I don’t find this part all that engaging. This is good news to those of you who, like me, are somewhat solitary readers. If you do enjoy a more social reading experience, this can be a great way to discuss books with friends and get ideas for future reading material. It’s nice, because it’s not algorithmic: Following an individual and reading books they like can be a great way to foster friendships or get to know them better. In the Books view, you can see at a glance how many books you’ve read each year, and drill down per-year to see which books you’ve rated, and what was your longest read. If you use shelves (I don’t), you’ll also see your top shelves. This plots your reading year (along the X axis) relative to each book’s publication year (the Y axis). You can see at a glance that I’m heavily biased towards relatively recent books, although I have been experimenting with more classic reads earlier this year (in January I’ve read John Steinbeck’s excellent Of Mice and Men, originally published in 1937). These Are My Favorite Features – What Are Yours? In this post I’ve tried to show some of the nicest things about the Goodreads website, but it’s just a small subset of what the site can do. Do you use the Goodreads website? Are there any fun or useful features I should know about? Let me know below! Lists can be used for discovery new books. See the section 'Lists with This Book' on book page. For me, is the best feature. Goodreads can be pretty confusing to wade through if you're trying to use more than the very basic features, so thanks for highlighting some extras. I also love the export/import ability. Makes it so much easy to shift or mobilize book lists. I visit it once in a while but I don't have plan to actually sign up. I agree, the synopsis and review section is better left alone until you've finished. I end up with spoilers one time when all I want was a confirmation on the book's writing style. I'm a solitary reader, and hearing someone else's thoughts before I form my own (by reading the book myself) would be jarring, and sometimes give me precognition bias. Even after I finished reading I usually won't bother reading reviews unless I find that book's subject is ripe to discussion. Can you export your book reviews or make them private? You can mark a review as "containing spoilers," but AFAIK, there's no way to actually make it private. I also couldn't find a way to export reviews en masse (of course, you could always copy/paste, but that becomes impractical if you have many reviews). I see. It's just sometimes a book review may be personal-maybe the subject is dear to you or you have certain memories regarding that title. I like that sort of notes in real life. If it has the feature, it'd be a very good tracking and journalling tool. Yes, that's a good point indeed. Maybe some day, who knows! You can write "private reviews" but not in the same box. When you click on "edit review" of your book, instead of writing under "What did you think", look lower in the page. There's a box "Private notes". This is only shown to you. I find that very usefull when I want to remember what was the book about without writing full sentences. You can also use the "notes" column in your book list (make it visible by clicking on "Shef settings: custom" on the top right of the page). I use that to write down the number my public library gave to the book. I simply print my list and go the library whenever I'm looking for a new book to read! That's brilliant, Catherine! I didn't know about this feature, thank you for sharing. I like the feature that you can import your books from a csv, txt, or xls file. You can also export your books to Excel. One tiny feature that's "missing" are shared reading lists. Book clubs can really use it I feel. I didn't actually know about the export/import features -- you must have a LOT of books! :) I only have 90 or so, all added through the site itself. BTW, your profile quote is amazing. Where's it from? Thank you Erez. With more and more apps on our tablets, we need things like this to sort the best from the worse. Very useful. So true. But every now and then I can find books I like being unpopular to the site. Even more painful (or funny) when someone who complains about the book's writing style writes his/her comment with questionable grammar as well. Another type is reviewers who tend to misread the book's 'morals'. Interesting bunch. 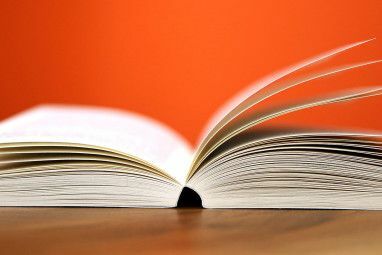 I have been a member of goodreads for quite sometime and it is a great resource for learning about books. Thanks for this in depth review. I've been using it for a number of years now, purely as a tracking service. It's great to know Goodreads is this expansive.